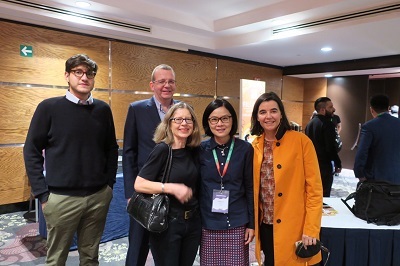 Taiwanese illustrator Chinlun Lee joined Roger Olmos of Spain, Sebastián Santana of Uruguay, and Rachel Levit Ruiz of Mexico on Nov. 25th at the FILustra of the 2018 International Book Fair in Guadalajara (FIL), sharing with the audience the ideas behind her creative process. 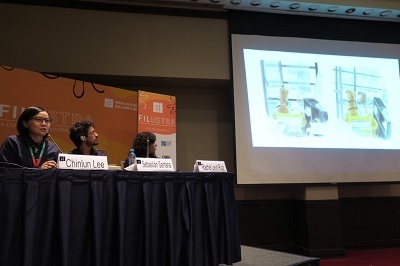 FILustra is a forum for illustration hosted by FIL, which presented notable international artists to the event-goers. On a constant quest for the core value of creativity, Lee said her main inspiration originates from the deep-seated emotional exchange between animals and human beings. According to Lee, this epiphany came from her days as a student in the U.K. She added that heaven's greatest gift to mankind is animals. Some of her best-known works, including No. 39 Animal Surgery and Talking About Cats, are based on canine and feline inspirations. And The Pawed Piper, to be published by Walker Books of the U.K., was created by collecting photos of over 100 real cats submitted by Lee’s readers and turning them into illustrated characters. 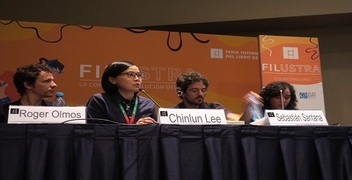 The three other artists in the forum, each with a unique background and distinctive style, all echoed Lee’s viewpoint by stressing the value of being true to oneself in creating art. Olmos stated that a good illustrator should always look at the world with the imaginative wonder of a child. Santana, whose works address mainly human rights issues, shared his experience in book illustration. With her Mexican and Jewish cultural heritage, Ruiz said her illustrations do not shy away from controversial issues such as women’s rights, abortion, and immigration. As the event drew to a close, the illustrators all expressed their satisfaction with finding the value of creating art. “My life and my way of thinking are now both represented graphically. And when I look at the faces in the audience, I see every one of you as illustrative potential,” Lee said in a fitting concluding remark.